For my first blog post I decided to have a quick look on the firmware from SIMET Box. 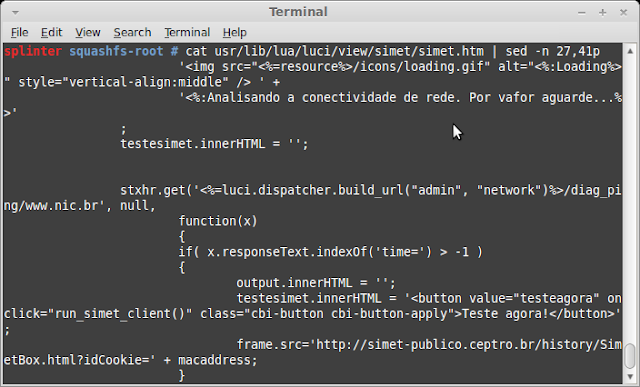 SIMET is organized by the Brazilian NIC.br in order to test and monitor the Internet speed across the country. 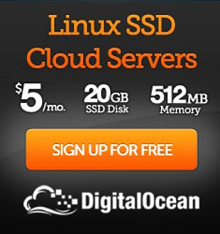 For more info (in portuguese) visit their site here. All the data collected is available to the community on reports and heat maps like this. The organization is now handing out free Wi-Fi routers to Brazilians in order to measure the Internet quality on different regions. 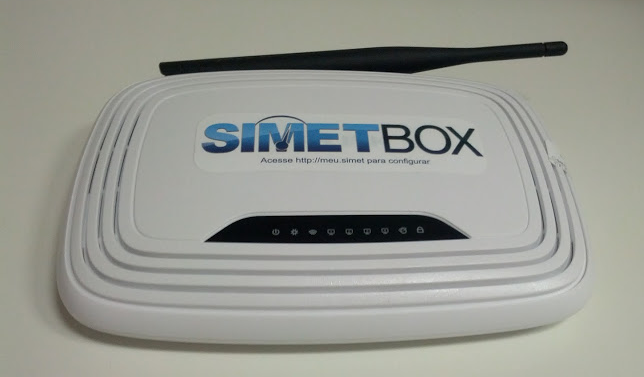 The SIMET Box equipment is a custom TL-WR740N pre-installed with OpenWRT. You can also download and install the standalone firmware on other TPLink's SOHO routers. The project is quite interesting but in times of PRISM and NSA I don't like the idea of using a "black box" at home, so I decided to check its design. As I don't have the actual box, I'll analyze SIMET Box's firmware image. 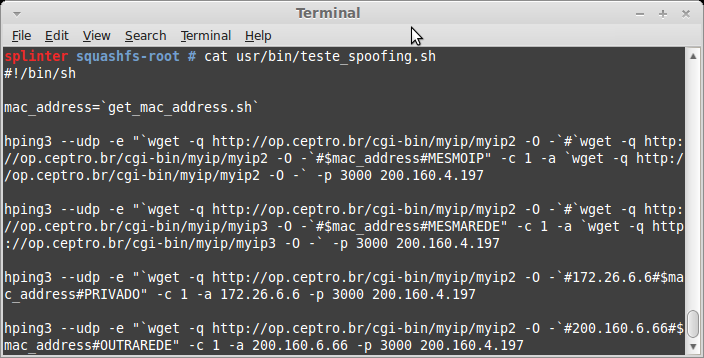 The firmware can be downloaded from http://simet.nic.br/firmware. 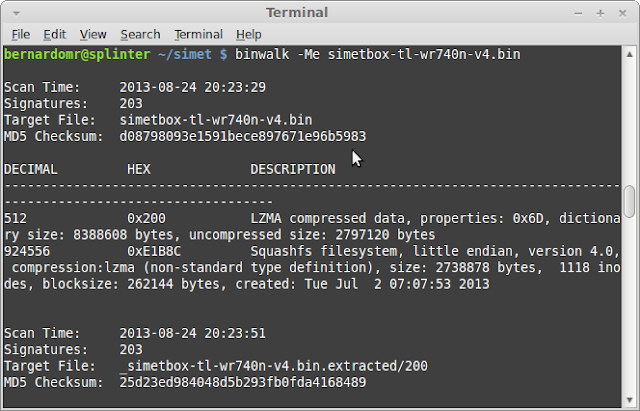 For this initial analysis I'll be using simetbox-tl-wr740n-v4.bin (MD5 d08798093e1591bece897671e96b5983). 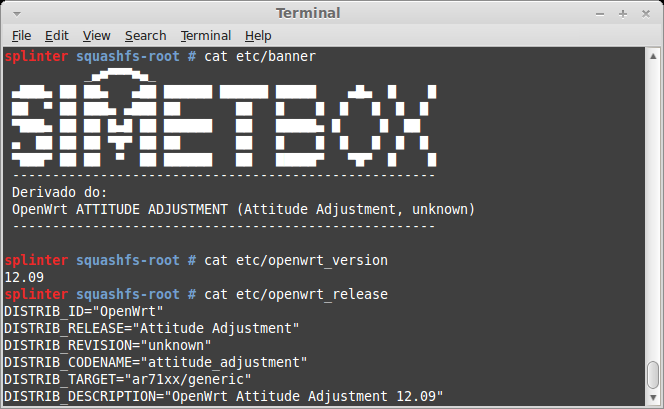 We now know that SIMET Box is based on Attitude Adjustment branch (v12.09) for Atheros AR71xx, downloadable on OpenWRT's official site: openwrt-ar71xx-generic-tl-wr740n-v4-squashfs-factory.bin. After extracting the base firmware (using binwalk) we now have two directory trees to diff. 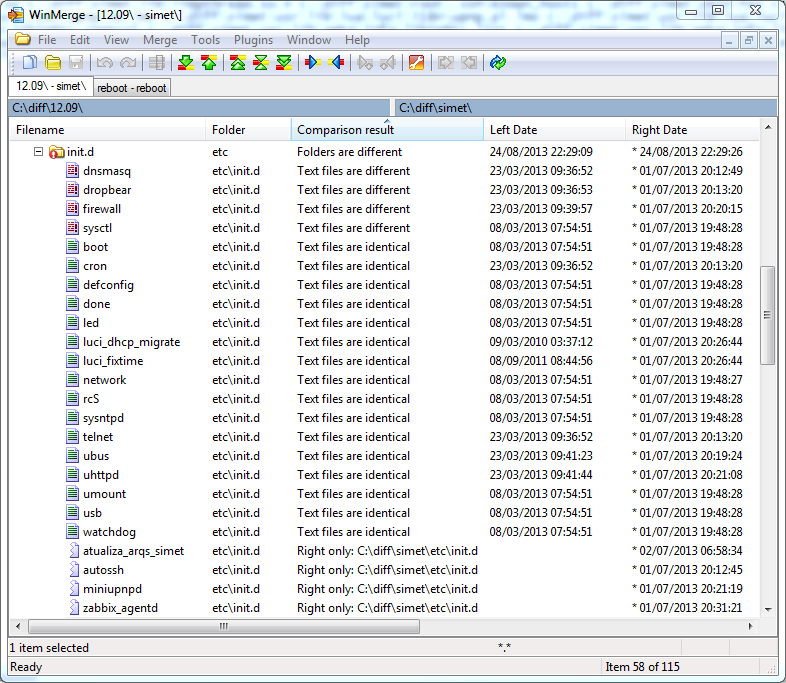 We can use WinMerge or Kdiff3 to compare files. 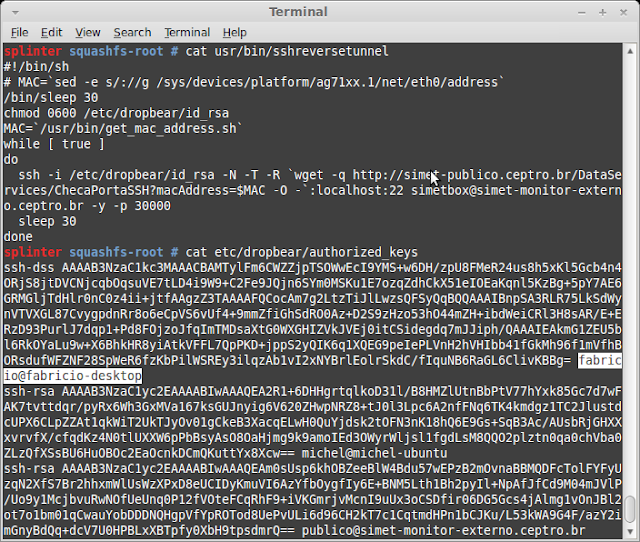 As a quick advice to SIMET engineers, it would be nice to have HTTPS for those external queries, a bit more of transparency on what the equipment does internally, who's able to access it (whose authorized_keys are those? 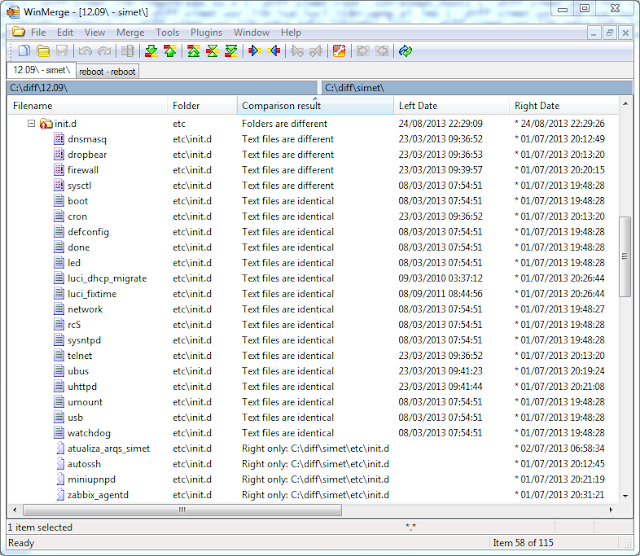 ), what external IP addresses it communicates with and what information is being collected. Securing SOHO modems is very important, specially here in Brazil where lots of recent attacks were targeting these devices (Fabio Assolini's talk "The tale of one thousand and one DSL modems" detailed this a year ago). On the next post I'll detail how to run those MIPS32 binaries on a virtual environment using QEMU and analyze some of the files with IDA Pro. Já vi relatos de pessoas que pediram diretamente para o pessoal do SIMET fazer a reversão. Aparentemente eles fazem isso manualmente, conectando remotamente no seu roteador (ssh) e rodando os scripts na linha de comando. Você pode gravar um novo firmware abrindo e fazendo o flash direto na memória (usando JTAG por exemplo). Não encontrei forma de conectar ssh com o meu router. alguma dica de como fazer isso? Conecte o seu PC em uma porta lan do tp-link. 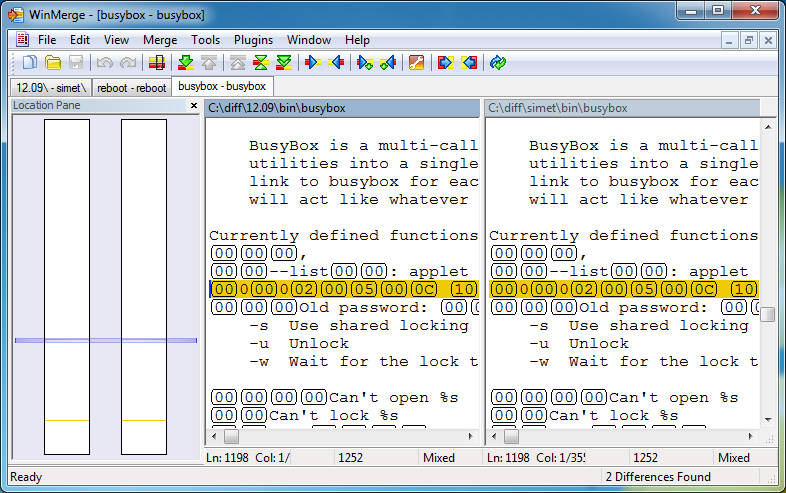 Coloque um wireshark e escute e escute a porta lan para ver o que acontece. Pressionando o reset, ligue o tp-link e observe uma requisição TFTP em que o 192.168.0.86 (tp-link) busca no .66 o servidor TFTP o arquivo wr740v4_tp_recovery.bin. A jogada é colocar o ip 192.168.0.66/24 no seu PC e subir um servidor TFTP, colocando o arquivo wr740v4_tp_recovery.bin. 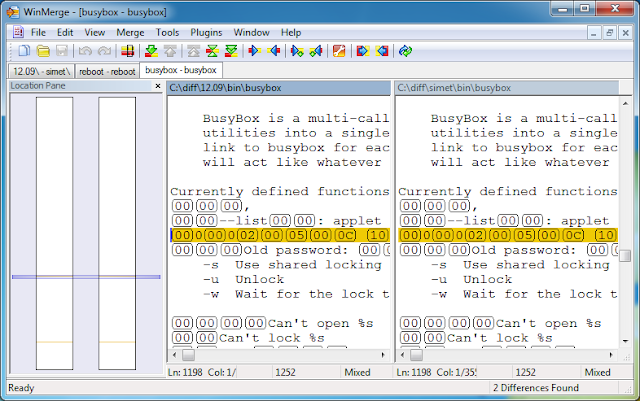 Note a atualização do firmware via wireshark. Ah! 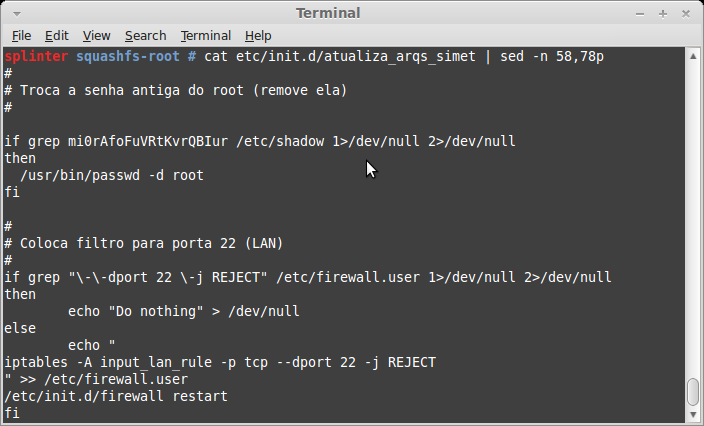 o Simet é um Openwrt Luci 12.09 mutado, então é possível jogar a versão sem problemas. 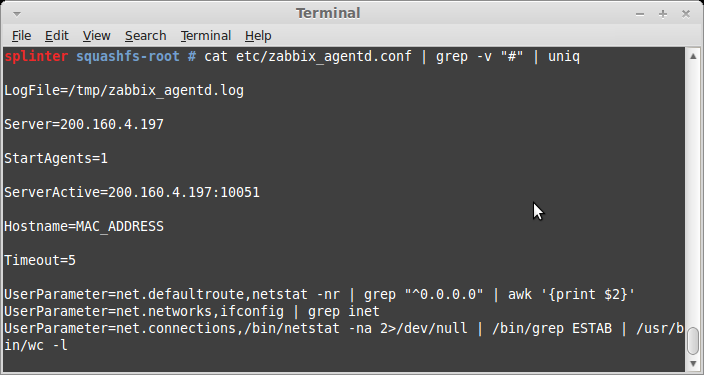 Gerei o firmware abaixo com ssh/telnet aberto para o tp-link wr740n-v4. 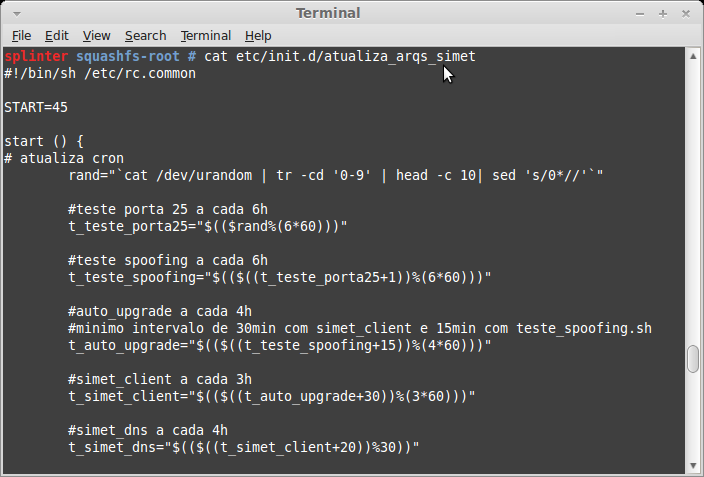 Outra forma é soldar uma porta serial no seu tp-link - debricking. 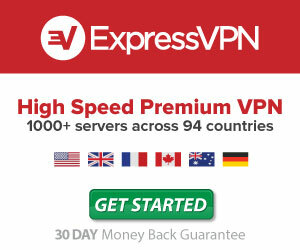 Faça um ping para o serverip=192.168.1.100 e faça o ftp. Detalhe: Você utilizava o ip 192.168.129.1 para acessar o tp-link e, após a atualização, utilizará 192.168.1.1.